Distinctive looks, tidy handling and a refined, free-revving V6. Child-only rear quarters. Private imports masquerading as official UK cars. Check the complex V6 engine carefully. Mazda deleted the 1.6i automatic, re-introduced it in June. 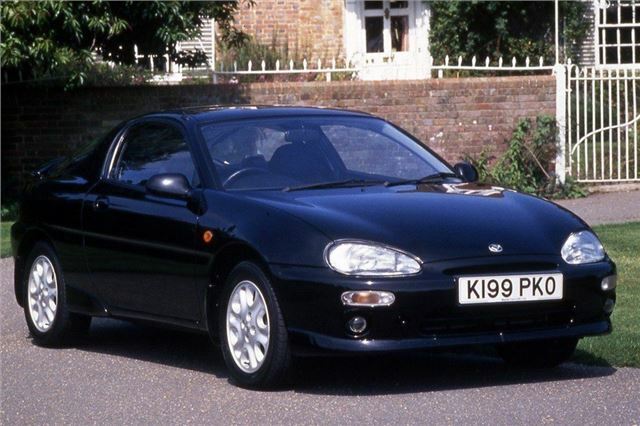 Launched at the 1991 Geneva motor show, the Mazda MX-3 was a fine car. Picking up from where the Honda CR-X left off, the MX-3 offered a decent alternative to cars like the Ford Puma and the Vauxhall Tigra. Heck, it even stepped into the hot hatch gap left by the Peugeot 205 GTI, production of which had stopped, and the Volkswagen Golf GTI, which was enjoying something of a mid-life crisis with decreased performance and increasing weight. A 1.6-litre four-pot was available, but really the one to have is the 134bhp 24v 1.8-litre V6. You’ll need to keep it over 3000rpm, but once you get it simmering it offers grin-inducing levels of acceleration. It wasn’t too shabby in a straight line, either, making 60mph from standstill in 8.5 seconds. Today, it’s a largely forgotten piece of hugely enjoyable motoring fun.